New, for Fall ’16”, The Baby Buggy Rnd”…AKA “Baby Thumb”. 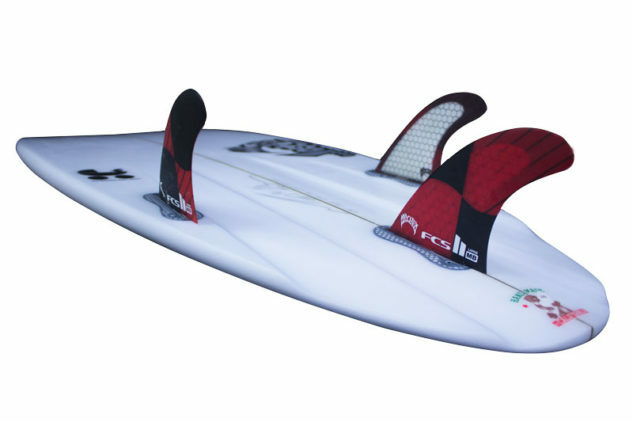 A fresh fun update to this years most popular Alternative HP Shortboard model. Developed for Taj, and his ongoing testing of slightly alternative designs, its meant to allow him to ride the BB in the more raw and rugged surf around his home in WA. By swapping the standard squash for a “Baby Thumb” tail, we have reduced the surface are in only the last few inches of the board (leaving the 12″ point the same) thus adding a bit more bite and hold, making for a slightly more precise turning radius, and confidence at high speeds. The Baby Thumb extends the range of waves the BB can and will excel in without diminishing its small wave prowess. Everything else remains the same (Width, and overall volume, rocker rails etc). We don’t consider this a step up, just a little twist which adds some flair and control in punchy or bigger waves, without ruining the fun in the slop. Furthermore…..We have been building them with four “radiating” channels through the tail. Unlike classic parallel channels, these “R-4” Channels are fast and free in smaller to average surf, because they are toed in to work with the fins and encourage radical turning and create drive in tight radius arcs. Classic parallel placed channels go very fast down the line and feel great in powerful, driving surf (but tend to be sticky and track in quick turns). The two outer channels are aligned parallel with the front fins, angled towards the nose and the two inner channels are toed in a touch less than the outer two (similar to running inner quad fins with less toe than the front fins). 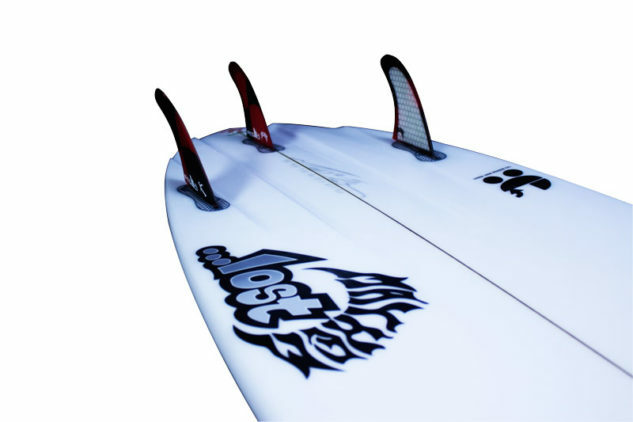 All four fins angled to the same vanishing point up front, and radiate outward, with the fins, back through the tail. By simultaneously cutting through the curve in the tail rocker, as they radiating out the tail, the “R-4C ” provide the sensation of added grip and drive, gaining speed through turns. They excel in not only clean waves, but also liven up even soft and sloppy surf.